A few years ago the Lord started me down the road of learning the Spiritual history of the Pacific Northwest. It was once known as the Oregon Territory, and now covers three states as well as parts of two more. The Lord lured me into researching this subject, partly through three dreams that he sent me and the people that he kept connecting me to. Each person had a story that was like part of a puzzle or a snapshot photograph. As I started to walk some of this out, the Lord would release another part of the puzzle when I was ready. More than once I have walked into a local library, and almost walked right up to the next book I needed to read. Although that may sound strange, it became normal for me. This writing is a snapshot, a collection of stories of what happened. It’s not an exhaustive work, if it were, then chapter one could fill a book all to its own. In 1775, a smallpox epidemic broke out in Boston. Within seven years the effects of its deadly hands had reached the future Pacific Northwest regions. In that year of 1782, most inland tribal groups that had never seen a white man were now fighting the effects of a disease that raced like a wildfire across a defenseless continent. The Spokane tribe of the Inland Northwest, like many others, watched the effects of this hidden enemy systematically reduced the tribe from the rough estimates of around 3,000-1,400 people to as low as 1,000-700 people. God, however, decided to use this horrible event to bring a seed of grace to the region. That winter had been tough, and people of all ages were pitifully falling from this smallpox outbreak. The spiritual leader of the tribe, “Yurareechen,” also known as Circling Raven, son had just died. Distraught and inconsolable, Circling Raven started tearing through the village, destroying anything his hands could find. Finally, the chief, who was also very distraught got him to sit down. After a little while the chief recommended that he travel up to Mount Spokane some twenty-five miles away to seek the Creator, and see if He would speak about this evil that had fallen on the tribe. According to legend, Circling Raven spent several hungry days in a cave, waiting for a word. Suddenly, in an experience similar to Acts 9, a blinding light came that morning with a voice. The Voice counseled him to move to the edge of the cave and look toward his village. In a vision he saw his village, everything was fine; children playing, dogs running, people laughing and no sign of the sickness. Then he saw something he had never seen before, light men skinned in black robes. They maneuvered their canoe to the bank of the village. He looked closer to see that one of these men was in possession of a bundle of leaves bound in leather. As the man opened it Circling Raven could see the leaves contained marks on them. A few years later in 1790 the tribe faced another critical moment. Mount Saint Helen’s erupted, covering much of the Spokane’s tribal area in ash and making it hard for people to breathe. The people called out that it was the end of the world and they were about to die. Circling Raven now had a choice before him, to talk or not to talk. Until this point, he had only told his people part of the prophecy. He raised his head and said, “This is not the end of the world. Much more must come to pass before that time comes.” Then he told them of more strange white people who must come. 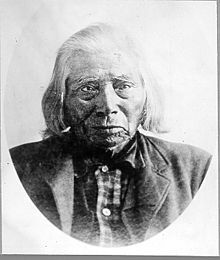 A few years later in 1811, Chief Illim-Spokanee, in his old age, became the father of one of the future leaders of the Spokane tribe. His child would play a pivotal role in the Oregon territory. The young boy and his father spent his years hanging around the trading post set up by Finan McDonald of the North West Company. The Chief did so in the hopes of hearing more from the white men about the Creator. He had a heart for knowing all he could, but the white traders told very little. The Chief passed on to his son this desire to know more. So the son absorbed every story as he started thinking that there must be more to this story about the Creator than what he was hearing. The school the governor was referring to was the Red River mission, More than a thousand miles away in the east, in what would one day be known as, Winnipeg Canada. It was the Church Missionary Society of the Church of England run by Rev. David T. Jones. And, it was a very long ways away over very hostile terrain. This has proven out true in the many years of history for Spokane Garry and his tribe. In fact, the spiritual health of this tribe ebbed and flowed according to Garry’s own spiritual life. In the future, whenever Garry neglected his role as a spiritual leader, his tribe wandered spiritually. Spokane Garry and Kootenais Pelly spent the next three years next to the sprawling farms of the Red River settlement that stretching for a hundred miles along both sides of the river. The many students at the Red River Mission were an average age of sixteen years old. They were taught English through the means of the religious texts of the Church of England. Because of the large Scottish element at Red River, both Garry and Pelly learned to speak English with a noticeable Scottish burr. They also learned gardening, each boy on his own plot of ground. They were taught how to plant and grow vegetables and grain, and the fruit of their efforts contributed to the food stores of the compound. Garry mastered English and French and could write fluently in both. By 1827, Garry’s knowledge of Scripture became so good, that he became a highly skilled Sunday school teacher at the mission. Sometime shortly after this Garry received word via the French traders who traveled from the West, that His father had died. It was too late in the year for Garry and Pelly to return west. After four years at the school, they began their travels home that next spring. The Anglican priests of the mission did not want the boys to leave, but understood the reasons for their departure. As a parting gift, both boys received a King James Bible and a book of common prayers. It was a treasure to Garry, a treasure that his descendants still hold today. Garry was 18-years-old now as he came home from the Red River Mission. As he came home that winter, he was now a chief, and He carried the anointing of both priest and king to his people. William Cameron McKay, an Indian pioneer physician, wrote about Garry’s return. Garry and Pelly worked side by side as spring came and soon made a tremendous impression on the neighboring tribes. Little record exists of what was said because few tribal people could write. Most of what is known was writings by whites passing by and tribal family stories. But according to these writings and the evidence of what was left, it is known that they taught much about the Master of Life and His Son Jesus who sacrificed Himself on a cross to bring everyone back to His Father. Garry soon became well-known among the tribes as a preacher of the book of Heaven and urged all the tribes to follow the way of peace. Soon reform came to the tribe, there was no work on Sundays, and a tenth of what they had was now to be given to missionaries as they came to the area. He built a 20 by 50 foot schoolhouse and church, that he maintained as best he could to instruct people in greater depth. He also instructed the people in gardening as he had learned from the mission. Two years after returning home, Garry and Pelly started back on the long trek back to the mission, but this time they brought with them five new students, sons of chiefs from various tribes. One of them was a boy named Ellice, who would later become chief of the Nez Perce. Sadly, that visit was cut short when Kootenai Pelly, as he had became known, grew ill. After a long period of time, he passed away in Rev. Jones house on Easter morning, 1831. This greatly concerned the leadership of the mission, fearing Pelly’s death might hinder the work of the Lord in the west. It was decided that Garry should return to the Kootenai territory and break the news to Pelly’s family, and after that, return back to fulfill his growing duties at the mission. However, after Garry returned home, he did not return to the mission, but pushed forward preaching and teaching the tribes wherever he traveled. Soon things fell into a predictable way. Every weekend Garry conducted school, taught English, simple agriculture and the Christian religion with as many as a hundred adults and children present. Because Garry was a chief, other chiefs would send their sons to learn from him. As they went back to their tribes the neighboring tribes sent their sons, and the process was repeated. Other worship and prayer houses started getting erected by tribal leaders. One report from a traveling missionary who entered one of these houses in the Spokane area said that the presence was so strong, even when no one was there, that it was like entering the gates of heaven. Due to reports of Garry’s work, his old priest of the mission, Rev. David T. Jones wrote back to London, praising him for his work. John McLean of the Hudson Bay company reported that Garry’s teachings had reached Stuart Lake in British Columbia some 800 miles to the north. American trappers reported the same effect in the Wasatch Mountain range near Salt Lake, Utah. The teachings about Jesus where soon making its way into every tent and lodge, and trappers and settlers were amazed to run into Indians on the frontier who could recite the Lord’s prayer. By 1833, the young boys that Garry escorted to the Red River Mission had returned. Now other names started getting added to the roster of Christian Indian teachers roaming the North West preaching Christ & repentance; names like Kootenay Collins, Cayuse Halket, Spokane Berens and from the Nez Perces, Ellice and Pitt. All had arrived home to their tribes with new Bibles and Anglican prayer books, excited and ready to change the world. Although some of these men had short lives while preaching, their effect on the people was well noticed and recorded by white settlers and military leaders. In Washington Irving’s book, “The adventures of Captain Bonneville,” He writes about the fruit of the ministry of Ellice and Pit. Then in another chapter he writes. 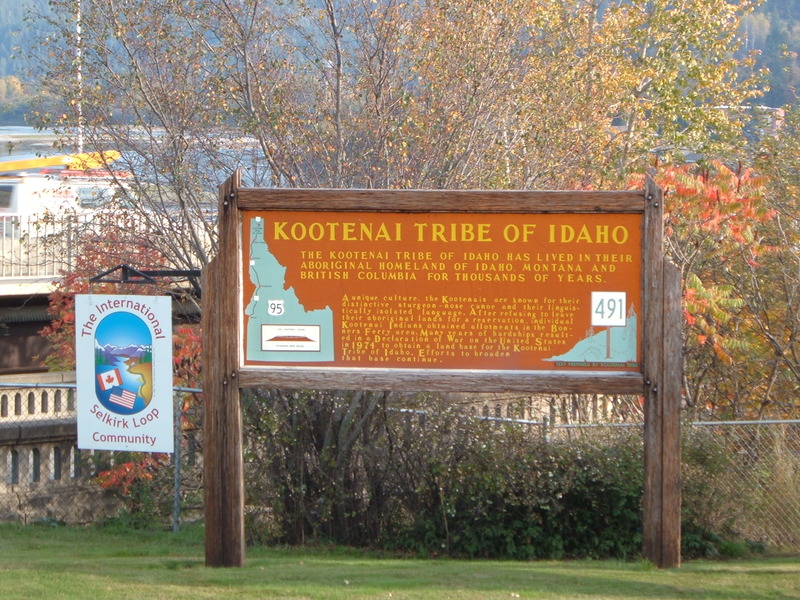 In 1833, Captain Bonneville traveled further south to the Shoshone and Ute regions to find that the senior chiefs were debating about adopting the new manners and customs of the Nez Perces and other Christian tribes. Many other reports from other travelers dot the history books about the effects that this revival was having. But like all revivals there was decline ahead, 1830 saw the start of a change. In the early 19th century Lewis and Clark had stumbled out of the Bitterroot mountain range more dead than alive and dropped into the hands of the Nez Perce. The tribe showed grace to them, fed them, cared for them and became friends. As a result of this, they took a vow to always be a friend of the white man. In 1831, when Pelly died on easter morning a small delegation of Nez Perce were en route to Saint Louis to find Captain William Clark who was then superintendent of Indian affairs in St. Louis. Their request was for missionaries to be sent to the west. This trip was in part inspired by the effects that Garry and Pelly had already on the local population. William Clark passed off their requests to the churches. This soon became known in the North East as the Macedonian Cry. By the mid 1830′s, Methodist Missionaries started arriving. Although this may seem good, in reality it had the opposite effect. This new group generally did not understand what was going on. Anglican worship styles were very different from Methodist. Also, the Native American interpretation of Anglican worship was even harder to understand. Their response to what they did not know was to call it by a variety of names, including Indian mysticism and witchcraft. This now started to increase the stronghold of a growing spiritual racism in the region. Ever so slowly, the ministry of Garry and the others started to decline as people in their own tribe became confused by the teachings. The missionaries, many times told the people that the young Indian evangelists were not Christians and that they alone held the way to Heaven. This problem became only compounded later when the Jesuits missionaries, Francis N. Blanchet and Modeste Demers, came in. With orders from the Hudson Bay Company to place Catholic houses of prayer next to Protestant churches, this started turning tribes against the Methodists. Much of the Indian wars of the North West, where race wars provoked by these two main groups, the Jesuits and Methodists. By the late 1840′s, Garry pulled himself out of a major depression and several bad decisions. Garry, who was now entering his early 30′s, started remembering the last part of Circling Raven’s prophecy. Garry started advocating peace and worked hard to keep the young warriors from entering any of the wars. Many of the local chiefs were now becoming corrupt and could not be trusted. Most of them had attended either his school or the school of some other Christian leader. Garry learned to walk a careful line, at several times he had the opportunity to fight, they outnumbered the whites. They had the supplies for an extended war, but he would not allow his people to join in what the other tribes were doing. Garry would not be moved on this issue, and never did. He carried a deep conviction that brothers should not fight brothers and if you were a Christian, you were a brother. However, Garry’s power as a chief was slipping and could not prevent an armed conflict with General Wright in the 1850s. He managed to keep some of his tribe out of the conflict, but several lower chief’s went behind Garry’s back and joined in attacks against whites with other tribes. As the news reports came in, he discovered that his older brother, brother in-law and several cousins had all died fighting General Wright’s howitzer backed infantry. In spite of this, Garry rode his white horse alone into the general’s camp to successfully bring an end to the war. This event and the events that followed years later greatly disturbed Garry. As the years passed, Garry fed most likely hundreds of hungry white homesteaders who stumbled out of the Rocky Mountains looking for a home. Many people record, leaving his small ranch on the Spokane River with baskets of seed potatoes and seed for other crops, as well as instructions on how to cultivate them. Garry would also, from time to time, replaced their old wore out horse with one of his. By the 1870s, Garry, who was now growing old, started shifting more into his evangelistic calling. He had started building a friendship with Rev. Henry Harmon Spalding, who had prophesied the Whitman massacre in 1847. Spalding, who was working to the South a few hundred miles away, was not well liked by most missionary groups for his actions, partly due to his revolutionary ideas, and partly for translating the book of Matthew into Nez Perce. Garry invited Spalding to join in on a Crusade in 1871 among the tribes. A few months later during that winter, a massive earthquake struck. The size of the quake is unknown, and is debated by geologists. Here are some of the many reports from the newspapers of the day recording some of the following events around the Pacific North West. 1. Fissures were found in the ground some 50 miles to the west of Spokane. North along the Frazer river in Canada, residents reported, something hot a smelly bubbling out of the mountain side near Hope British Columbia. As well as Chapel bells ringing in Vancouver B.C. 2. In Mount Angel, Oregon is reported that a local Catholic church was damaged by the quake. 3. In Idaho, a local rancher lost most of his cattle herd with a few horses, because he was unfortunate to be crossing the frozen Pend Oreillie river at the time of the quake. The shaking broke the ice into large sheets, drowning his cattle. This also had a large effect on tribal populations as landslides along the Columbia buried whole villages alive. Tribal people started reporting angelic encounters; angels in the sky calling them to repent. Many started responding to this and started seeking out ministers to baptize them. Garry and Spalding, who had separated for the winter rejoined via Garry’s request, and in the icy cold Spokane River, together, they baptized many of the local tribes. 1. To recall his people back to the faith. 2. To build a better school, the old one was destroyed many years before. 3. To find a proper reservation of their own choosing, not the governments. Garry started writing letters to governors, military leaders and anyone who would listen. Most would not believe that an Indian could write so eloquently. This gave him a distinct advantage against many of the political leaders of the day like Governor Isaac Stevens and George B. McClellan (battle of Antietam, civil war 1862), who tried to manipulate Garry, but failed. The reservation finally came in 1887, but in no way was it what Garry wanted for his people. He wanted his farm in present day Millwood to be located within the boundaries, but when it was said and done, that was not going to happen. In order to get title to his own land, Garry endeavored to become a citizen of the US. Garry and his family, one summer’s day, were fishing on the South side of the Spokane River when word reached him that whites had taken his farm. They arrived and found his farm taken, at this point they were allowed to only take a few possessions from the farm. After that, they burned his house to the ground, all books and papers that Garry had inside became ash. On August 3, 1888, the U.S. Land Office issued Schyler D. Doak a receipt for the land. Twenty seven days later Mr. Doak procured a loan of $500 dollars to presumably pay for the gathering and sale of the crops that Garry had cultivated. Garry got a hearing set on his claim of ownership, and the court set the estimated value of the farm at $25,000 dollars. During the court case, Garry, now 77 years of age, was reduced to living in a teepee. His large herd of horses and cattle were easily taken from him, as he had no land to pasture them on. He sought justice, but in the end it was never found. Over the next few years, he slipped slowly into poverty. His daughter, Nellie, took to washing clothes to provide for her father and blind mother. Then at one o’clock in the morning on Jan 14, 1892 with his family around him, his bible and book of common prayers given to him by Rev. Jones at the Red River Mission, Garry passed away. His burial was paid for out of the pauper fund of Spokane County. With Garry gone the court stopped all hearings on the issue of his land. Then a few years later in 1900 His wife, Nina, died and was buried in a potter field near Fairfield, Washington. At 81 years of age, Garry saw the transition of incredible change. He lived from the earliest days of a primitive tribal life, that had never seen a white man, to walking under early electric lighting of city streets. 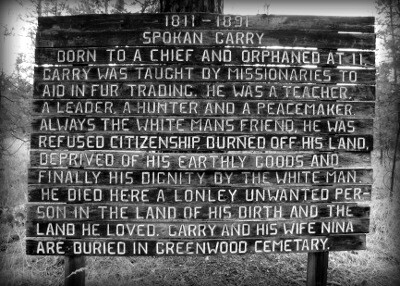 Spokane was nothing more than a village and fur trading post run by the British government in his early years. Spokane now had paved streets, water mills, electricity and a growing population of 5,000. He saw the early days of a simple devotion to God, where people would sing as many as 40 songs on a Sunday. The presence of God would just sit and remain in the meetings. He watched the brotherly camaraderie that was happening between tribes slowly be destroyed by competition and a racism spirit. He watched a religious spirit destroy the beauty of what was being built and replace it with denominations that did not like or trust each other. Lukewarm devotion and the open decadence of brothels and bars now settled into the land he called home. The poverty spirit was now fully entrenched in the Pacific Northwest. Spokane Garry as he was known, did much to help lay the Spiritual foundation of the Pacific Northwest. As good as Garry’s work was, He himself knew that he needed help. He had requested many times additional help from the Anglican dioceses at the Red River Mission, but no help ever came. Alone and increasingly isolated from any form of Christianity he knew. He watched as his own people slowly turned their backs on him. The spirit of betrayal that is so strong in that region not only released a spiritual poverty in the area, but it caused many spiritual leaders to subconsciously distrust other leader before they ever met them. Garry felt the power of this spirit just as much as any other leader. It was most likely a miracle that he and Spalding ever came together on an outreach project. In the next Chapter, I will talk about other things that were talking place around Garry in the white community that also played a role. As well as lay the foundation of understanding for why the Lord used a ship in my dreams called the Lexington, as a symbol for the ministry in the Pacific Northwest. (1)Ruby, Robert H, and John Brown. “Ashes to Ashes.” The Spokane Indians: Children of the Sun. Norman, Oklahoma: University of Oklahoma Press, 2006. p.30-33. Print. (2)Jackson, Dave, Neta Jackson, and Anne Gavitt. “Circling Raven’s Prophecy.”Exiled to the Red River: Chief Spokane Garry. Grand Rapids, Mich.: Bethany House Publishers, 2003. p. 14-19. Print. Jessett, Thomas E.. “Various Chapters.”Chief Spokan Garry, 1811-1892: Christian, statesman, and friend of the white man. Minneapolis, Minn.: Publishers T.S. Denison & Co., 1960. p. 16*17,21,24,33,203. Print. 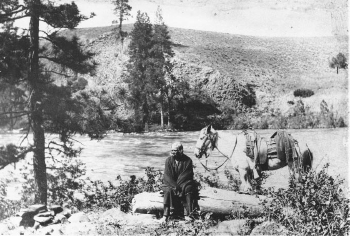 Josephy, Alvin M.. “Creatures So Far Below.” The Nez Perce Indians and the opening of the Northwest,. New Haven: Yale University Press, 1965. p. 91. Print. Ruby, Robert H., and John A. Brown. A guide to the Indian tribes of the Pacific Northwest. Norman: University of Oklahoma Press, 1986. Print. Ruby, Robert H., and John A. Brown. Indians of the Pacific Northwest. Norman: University of Oklahoma Press, 19868. Print. Meany, Edmond S.. History of the State of Washington. New York: Macmillan Co., 1909. Print. The Wellpinit Tribal School District website. Interesting information. I didn’t know Christianity had come to the northwest so long ago. Absolutely fascinating. I was a history major and studied NW history at a Christian university in Spokane and had no clue about any of this except about the Spaldings and the Whitmans. I want to read more. I want to know about Spalding’s prophecy about the Whitman massacre, too. Thank you for your obedience and dedication to research.